The evening of August 11, 2018 marks the 17th annual Dirty Linen Night celebration on Royal Street. For the second year in a row, the event is being presented by The Royal Street Art District, French Quarterly Magazine, and Southern Glazer’s Wine & Spirits, along with a long list of other generous sponsors. The event will once again encompass the 300–900 blocks of Royal Street. But as an extra treat this year, the shops of Wilkinson Rowe and several others along Chartres Street will be joining forces to bring an even bigger and more exciting event to the French Quarter. The event is free to attend but participants are asked to purchase wristbands in order to partake in the drinks and food along the walk. This year the galleries and shops will not only be serving up the bubbly, but promoting restaurants located throughout the quarter. The partnership of galleries, shops, and vendors is just another way that the DLN2018 celebration is growing. Take advantage of a great night that showcases the best and brightest of Royal Street. Participating galleries and shops will open their doors and bear the fruit of their labors for all of the world to see. View local artists, international artists, and artistic masters, alongside antiques, fragrances, and unique boutiques. Participants range from galleries and shops to eateries and street performers, and feature the likes of LolaNola, Elliott Gallery, Gallery Rinard, The Galleries of French Art Network, Osterhold/Boudreaux Gallery & Studio, Martin Lawrence Gallery, California Drawstrings, and many, many more. This year, more bands will line the street for making your trip down Royal Street an even more festive one. 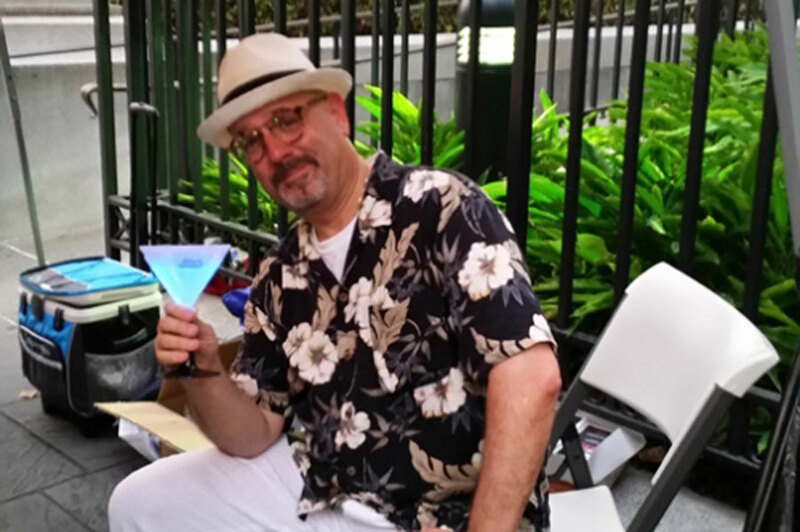 Light-up margarita glasses will resurface with a larger role to play in the party this year. Wristbands will be available for purchase in tents in the 400, 600, and 800 blocks of Royal Street, with an amazing after party from 9-11p.m. sponsored by The New Orleans Jazz Museum located at 400 Esplanade Ave. There will be music, food, and cocktails with music provided by Ron Jones and The Big Easy All Stars…not to mention special guest appearance by the one and only Rockin Dopsie! The focus of the event is to bring awareness to the French Quarter’s amazing shops, galleries, and restaurants. 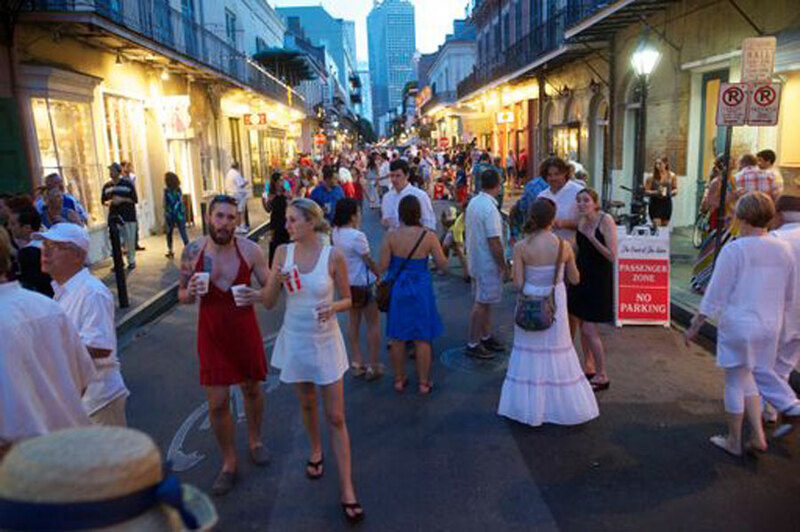 Bringing the beauty of Royal Street to the rest of the city while promoting small and local businesses is what The Royal Street Arts District and Dirty Linen Night is all about. The event starts at 6pm and all other information can be found online at www.dirtylinennola.net. Follow the event and The Royal Street Arts District on Facebook, Twitter, and Instagram, @dirtylinennight.